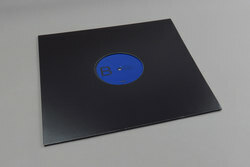 Ben Frost - Ionia - Jlin Rework. Vinyl 12. Bleep. Ben Frost gives us another glimpse into his eagerly awaited new album The Centre Cannot Hold with the shape-shifting entanglement of Ionia, coming backed with a deadly remix from Jlin. ‘Ionia is a colossal piece that seems to be trying to tear itself apart from within, a flashback haze of strings and electronics all ripped apart then sm, ashed together with a strong velocity. Jlin turns in her signature percussive mix of footwork rhythms to catch those unaware in her uncompromising musical maze.